Pet Financing Options Available - Visit Petland Topeka Today! Financing is a great way to be able to afford the materials necessary for your pet without having to pay everything upfront! 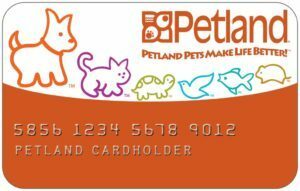 Petland of Topeka offers up to EIGHT super easy-to-use financing plans to help provide for your pet’s well-being! These plans range from A-level to zero credit with affordable monthly payments and interest. No down-payment required! All you need to do is fill out an application either online or in store. Once the application is processed there will be an approved amount, and within a few clicks you will be ready to take home your pet! Additional Financing Options Available In-Store. Ask An Associate For Details.